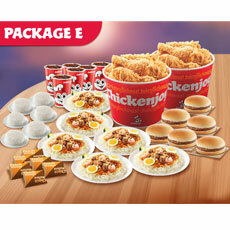 Surprise your loved ones in the Philippines with their favorite Jollibee meals! 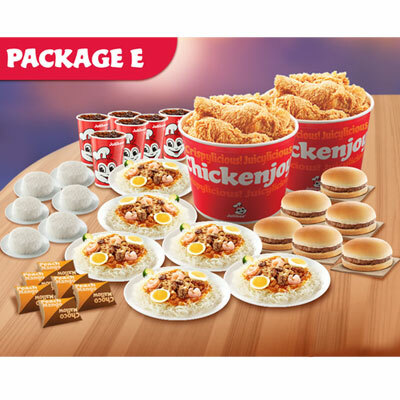 Instead of sending them money to celebrate an occasion, have Jollibee meal packages delivered right at their doorstep. Perfect for birthdays, graduation, or any other family occasion. Deliveries are only available in key major cities across the country, although there are some areas where food delivery is not available. In that case, the recipient will expect a call from our Jollibee Padala Package call center and they will be recommending nearest Jollibee stores that the recipients may pick-up and enjoy their Jollibee Padala Package via dine-in or take-out at their preferred Jollibee store. • For pick-up transactions kindly bring (1) Government Issued I.D. for identification purposes. • Please note all Jollibee Padala Package deliveries may not be accompanied by a gift card message.Kindly continue to checkout without filling in the "Message on gift card". Please allow at least 1 to 3 working day(s) prior to the desired date of delivery. Deliveries are available only from Monday to Friday. Place weekend orders by Friday, 11:00 AM, Manila Time.